Teach the next generation of tradespeople at the high school level. If you currently hold a journeyperson’s certificate and you want to teach your trade at the secondary level, this program is for you. Your trade will become your first teaching area and the College of Education will provide you with the skills necessary for you to pass on your trade to others. The degree program is three years and the certificate program is one year. The Course and Program Catalogue has the complete and official listing of required classes and their descriptions for programs in this area of study. Course and Program Catalogue - B.Ed. The Course and Program Catalogue has the complete and official listing of required classes and their descriptions for the certificate program. This course will have a central focus on an anti-racist and anti-oppressive examination of self and learners, with an understanding that education is an ethical and political act. Specific attention will be paid to the Saskatchewan context. Teacher candidates will connect these understandings to teaching practice as they develop their professional identities. The teacher's role is regarded as being a manager of learning and the organizational, leadership, and control aspects of this role are examined. Experience will be gained in planning instructional activities and in delivering instruction through the use of micro-teaching. Deals with creating and maintaining safe and effective learning environments in practical and applied arts. Student candidates will research various approaches to the above topics and then develop their own philosophy, theory and management plan for facilities, classroom management and crisis in PAA. Students will demonstrate understanding of curriculum intentions, application of learning and assessment theory, scientific literacy, lab safety, and handling of controversial issues through participation in course work and assignments. This course addresses curriculum and assessment topics in a general context, but also addresses Core Curriculum components and initiatives in Saskatchewan and their relevance in Practical and Applied Arts (PAA). The professional growth process will be a foundational process for the structure of this class. Teacher candidates will reflect on philosophy, inquire into curriculum, and use teacher networking as the core strategies for personal/professional growth in this class. Emphasis will also be on the development of teacher-competence in designing, developing, and applying materials that can be used to facilitate individual as well as group learning. The course will help teacher candidates understand the assessment and evaluation processes as an integral part of the teaching process and the actualization of Core Curriculum. Examples of innovative curriculum and initiatives in work based learning in PAA will be introduced. Students will develop abilities in preparing and selecting learning aids as well as developing competency in creating, using, and evaluating tools for the assessment and evaluation for Practical and Applied Arts. Beginning in their third year of study, students are paired with a partner school where assignments can be completed in an active learning environment. At the start of fourth year, students are completely submerged in an extensive field experience for a supervised 16-week period, teaching full time for at least five of those weeks. You have two options for completing this program, offered by the College of Education. Complete a full degree and choose a second teaching area to complement your technical background. Normally, this degree takes four years to complete, but your journeyperson's certificate will count as the first year, allowing you to complete it in three years. 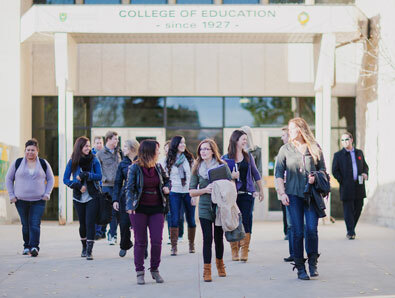 As a graduate of this degree program, you will be qualified to receive a Professional “A” Saskatchewan teacher’s certificate. This one year program will give you the educational background to teach in Saskatchewan schools. Your journeyperson’s certificate is equivalent to 30 credit units and is your sole teaching area. As a graduate of this certificate program, you will be qualified to receive a Vocational (Endorsed) Saskatchewan teacher's certificate. In order to apply to this program you will need a journeyperson’s certificate or appropriate technical training.